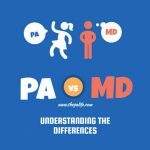 You are here: Home / PA vs MD / Torn Between PA or MD? Here’s How You Decide! 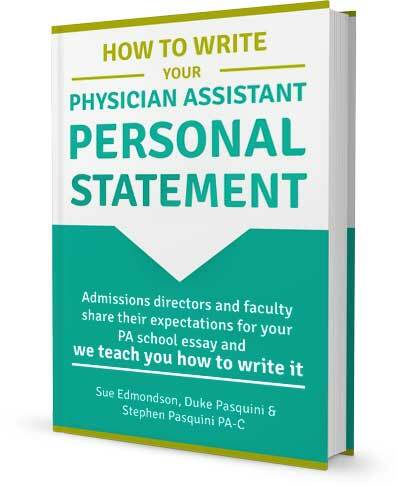 Are you struggling to decide between PA or MD, NP or PA, pre-nursing or biochem, new job or comfy job, CNA vs. MA, or scribe vs. EMT? One day you favor option A and the next day you flounder back to option B or worse, you start looking at option C.
Wouldn’t it be great if making this tough decision was as simple as picking the higher number? Use this decision tool to compare and quantify life's biggest decisions. 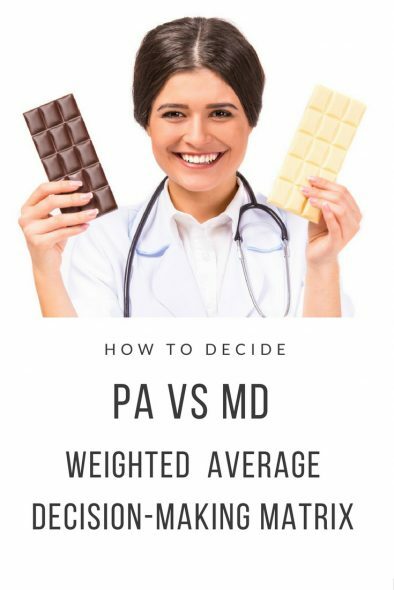 Today I will teach you about the weighted average decision matrix and show you how you can use this tool to tackle the very difficult decision of PA vs. MD. For the PA vs. MD Weighted Average Decision Matrix (WADM), you need paper and a pencil. Or you can download your FREE Excel (WADM) Tool and let your computer do the calculations for you. Keep in mind, WADM is for big decisions, With WADM, decision-making is easy as it isolates and prioritizes factors relevant to your decisions and then quantifies each decision with a value. The higher value reflects the better decision. 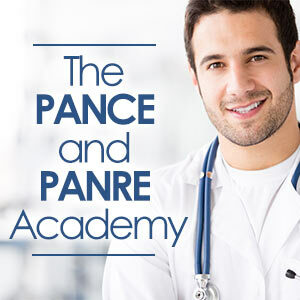 For example, if you had a choice between completing your prerequisites for PA school or medical school, WADM would yield a simple numerical valuation like PA school 390 and med school 227. 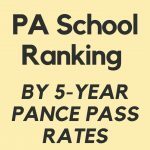 Based on the number, PA school is the better choice. While WADM is subjective and requires your unfettered objectivity, it is a great tool for identifying which choice is more favorable to your preferences. To use WADM, a minimum of two choices is needed, but it could be used for more. 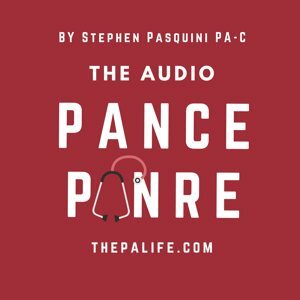 Let’s say you are on a pre-med track and are considering instead of applying to PA school at graduation. You struggle with the decision and can’t get clarity. 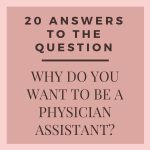 One day you happen upon this article and you are sure you have made your decision, the next day you talk with your mom on the phone, and you decide to continue on the pre-med track. Usually, this waffling occurs when there are too many decision factors within each choice. 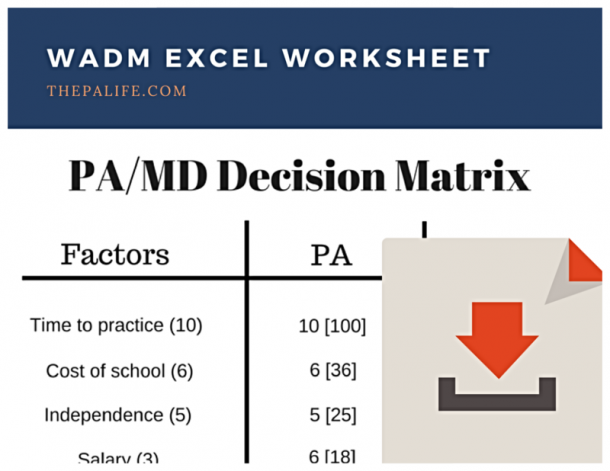 Get a pencil and paper, or Download Your FREE WADM Excel Workbook. 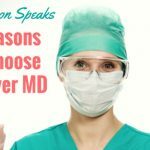 One headed “Factors” and the other two for each choice, “PA” and “MD" (or whatever two choices you are deciding between). 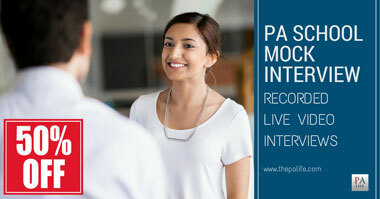 Second, what decision factors are most important in your decision? 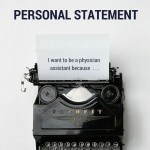 Write down all factors relevant to your decision, no matter how small. Thirdly, next to each decision factor, weigh its importance to the decision from 1 through 10, with ten being the most important. For example, you really want to start a family so focus on family is assigned a 10 in your matrix. 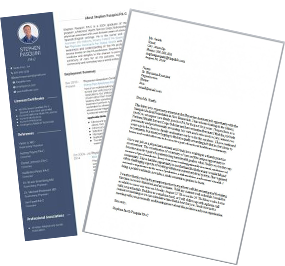 Subsequently, you really want to focus on one area of practice (orthopedics) so you decide that an ability to change specialties isn’t a top priority and it receives a 3. After each criterion is ranked 1 through 10, grade each choice 1 through 10 for each decision factor. 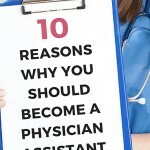 Time to practice for a PA is six years versus ten? You are 23 and already have your degree in biochemistry. 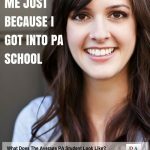 You have to go back and take a couple of prerequisite courses and get some more healthcare hours before applying to PA school. 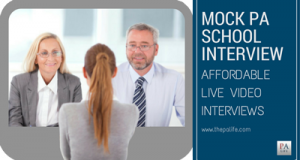 If you apply to medical school, you are going to have to complete four years of medical school plus a grueling 3-5 year residency. 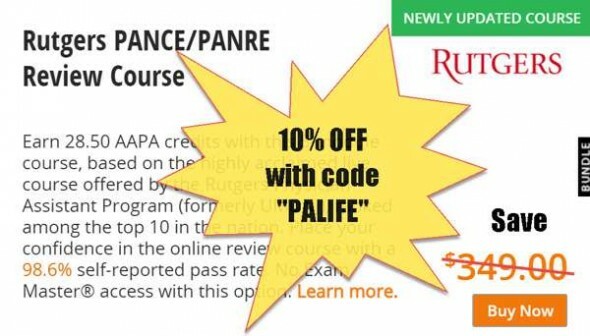 You give the PA column a 9. In the MD column, you give the time to practice a 3, as you determine it is a pretty big negative. Next, for each row, multiply the weight times the grade and put that number next to the grade in parentheses. For example, in the time to practice row, PA receives a 100 (10 weight x 10 grade), while MD receives a 20 (10 weight x 2 grade). The final step is simply to add up the graded weight columns to get a final number for each choice. The highest number will be the choice you favor. In this hypothetical example, you should choose PA because it received the highest score, 354 over 227. 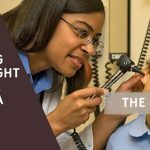 The WADM is a great tool for making big decisions as long as you are perfectly honest with the factor weighting. 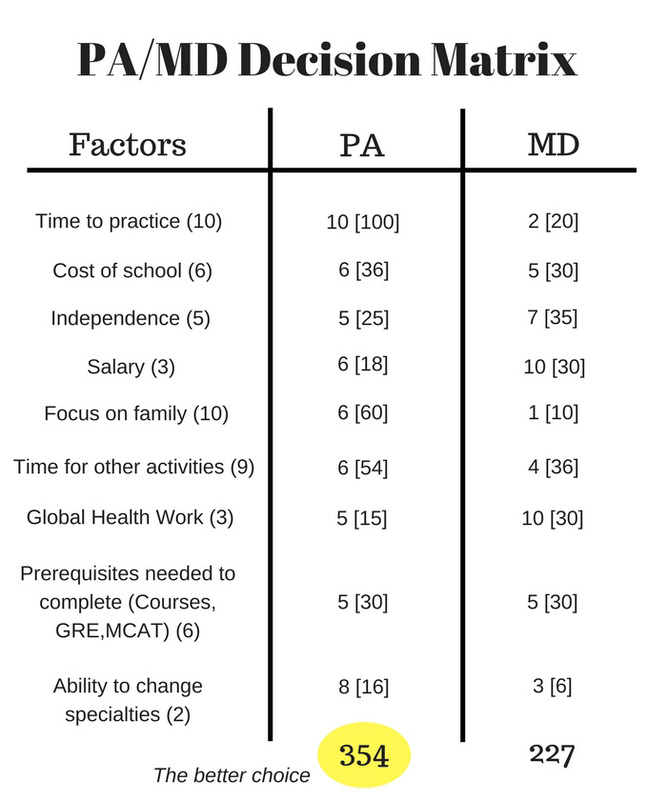 You can add columns to your matrix to include other decision such as PA vs. MD vs. NP. 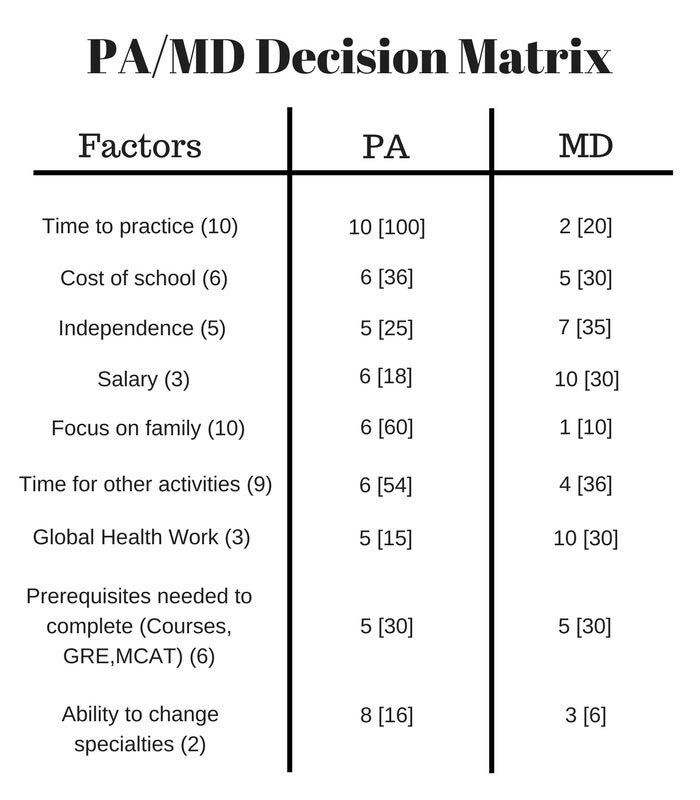 Or maybe you have decided already against medical school with one decision matrix and now need to decide between PA vs. NP, simple, make another matrix to find your winner. I’ve used WADM many times in my life to bring clarity to tough decisions. 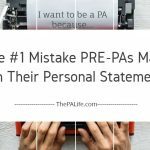 It proved I needed to leave my cushy job to be closer to home so that I could be a better PA and a better father. 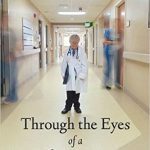 It offered insight into why it was time to change my major in college. Some decisions are bigger than others! 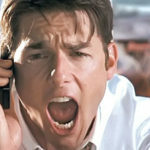 Enter your email below, and I will send you your no strings attached Excel Decision Making Matrix. 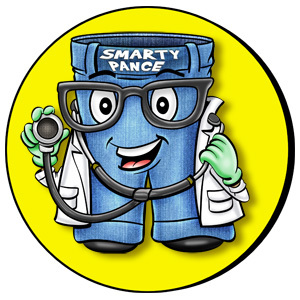 Please share your scores and calculations with the community in the comments section below. We would love to see how you conquered your tough decision. 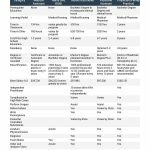 Where Should I Send Your Weighted Average Decision Matrix Excel Worksheet? Use this decision tool to compare and quantify life's biggest decisions. It can be customized to compare any difficult decision. 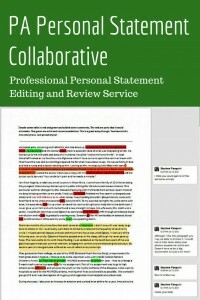 Your Worksheet is on its way! Hi Stephen, I enjoy reading your post. 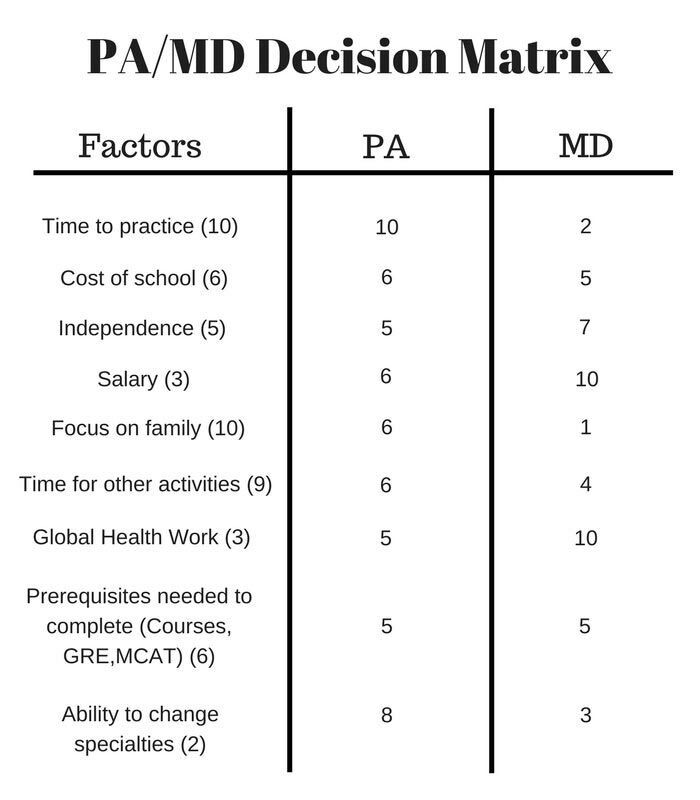 The decision matrix is very helpful for young students for what they need to pursue. 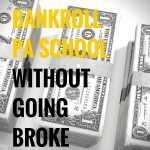 This can helps parents as well to plan ahead before enrolling their children. Thanks, Gregory, you are very right. I have used this as well to help students make up their minds when comparing several different schools to which they were accepted. It’s a great tool for any difficult decision. Thanks Stephen. Great example of how to use a weighted decision matrix. Thanks, Mark, I lover your Excell spreadsheet! 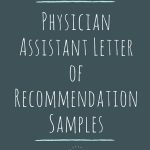 Where Should We Send Your PA vs. MD Decision Tool? 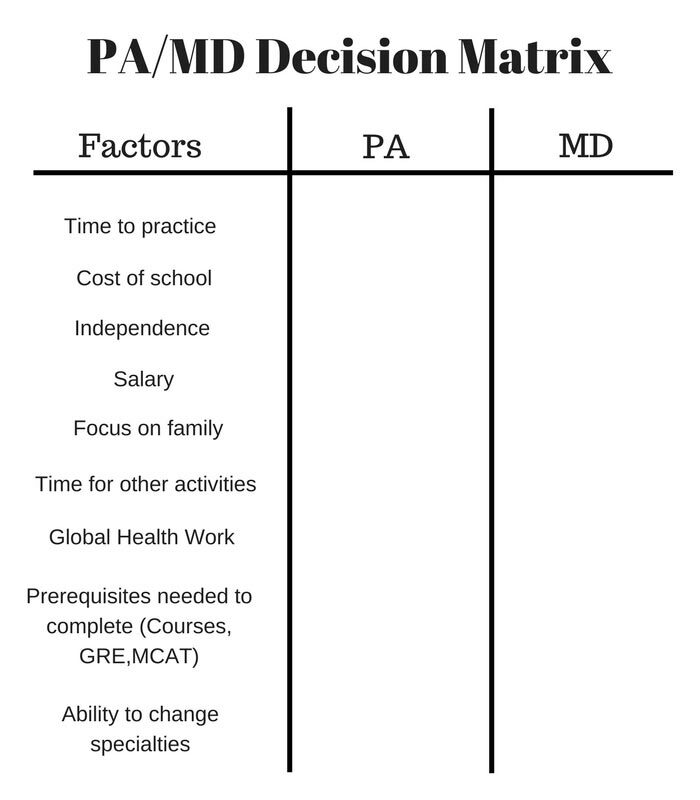 Use this decision tool to decide between PA vs. MD then use it to compare and quantify life's biggest decisions.